Monarch Air Group provides private air charter in Akron, OH. Our clients benefit from top-notch service, unrelenting dedication to safety, wide selection of aircraft, and years of experience in chartering private jets. To obtain a free quote, please use our online quoting tool provided below, or call toll free 1-877-281-3051. Monarch Air Group provides private jet charter flights in and out Akron, Ohio, USA. The largest metropolitan area of Summit County and a city of the state of Ohio, Akron lies near Little Cuyahoga River and the Erie Canal, about 23 miles north of Canton and39 miles south of Cleveland. The city’s name “Akron” in Greek means “high”. Once a canal town, the city was founded in 1825 by Simon Perkins. Having growing cars’ popularity, Akron is renowned as “Rubber City, “Rubber Capital of the World”, “Tire City”, and “City of Invention”. 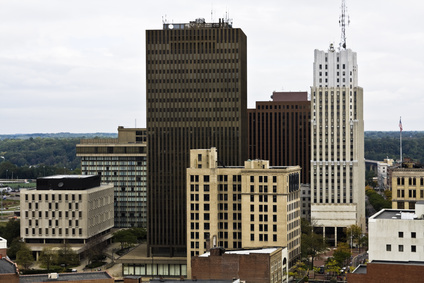 Having the population of 217,000 people, Akron provides high standard of life, numerous entertainment activities, unique shops and dining places. The notable attractions include Summit County Metroparks, Lock 3 Park, the Akron Civic Theatre, Cascade Locks Park, the Akron Art Museum, the John S. Knight Center, the Akron Symphony, Canal Park Stadium, the E.J.Thomas Hall, the Akron Zoo, the National Inventors Hall of Fame, and Stan Hywet Hall and Gardens. 1. AKC, Fulton International, Akron/Canton, United States. 3. BJJ, Wayne County, Wooster, United States. 4. BKL, Burke Lakefront, Cleveland, United States. 5. CAK, Akron/canton Regional, Akron/Canton, OH, United States. 6. CGF, Cuyahoga County, Cleveland, United States. 7. CLE, Hopkins International, Cleveland, United States. 8. GQQ, Galion, Galion, United States. 9. JFN, Ashtabula, Jefferson, United States. 10. LNN, Lost Nation, Willoughby, United States. 11. MFD, Lahm Municipal, Mansfield, United States. 12. PHD, Harry Clever, New Philadelphia, United States. 13. PVZ, Casement, Painesville, United States. 14. SKY, Griffing Sandusky, Sandusky, United States. 15. YNG, Youngstown, Youngstown, United States. 1. Quaker Square Inn at The University of Akron Hotel, 135 South Broadway Street, Akron. 2. Quaker Square Inn at The University of Akron Hotel, 135 South Broadway Street, Akron. 3. The Akron City Centre Hotel, 20 West Mill Street, Akron. 4. Quaker Square Inn at The University of Akron Hotel, 135 South Broadway Street, Akron. 5. The Akron City Centre Hotel, 20 West Mill Street, Akron. 6. Quaker Square Inn at The University of Akron Hotel, 135 South Broadway Street, Akron.